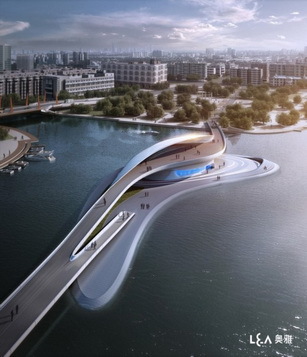 L&A Design Group has developed a bridge design as an architectural highlight of Wuxi Xidong Park, located in Jiangsu province, China. The bridge is planned to be the main connection between the north and south foreshores of the parks lake and allows visitors access to a small island destination that commands views over the water as well as café facilities and pocket gardens. 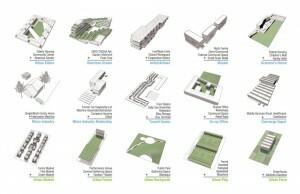 Already in 2012 the ASLA Students Award gave a Honor Award to a very interessting project idea (by Michal Kapitulnik) for Pier 68 in San Francisco. 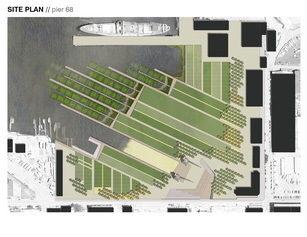 According to the awarded plan “Growing Pier 68: Landscapes of Accretion” the site becomes a testing-ground for a new hybrid landscape where habitat creation, terrestrial and aquatic agriculture, small-business incubation, and recreation co-exist. These rich adjacencies facilitate a new, dynamic landscape experience. Read more on the ASLA website. The markeitng experts of Margahayu Land Developers use the term “The first Hybrid Park” for their recent deveopment project in NewTon in Bandung. It will combine residences, a city walk, a meeting mall and a hotel. Visit the project on its website. 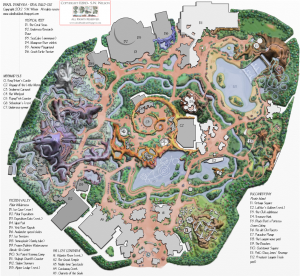 May be we should have invested the money to have “Hybrid Parks” registered as a trade mark? 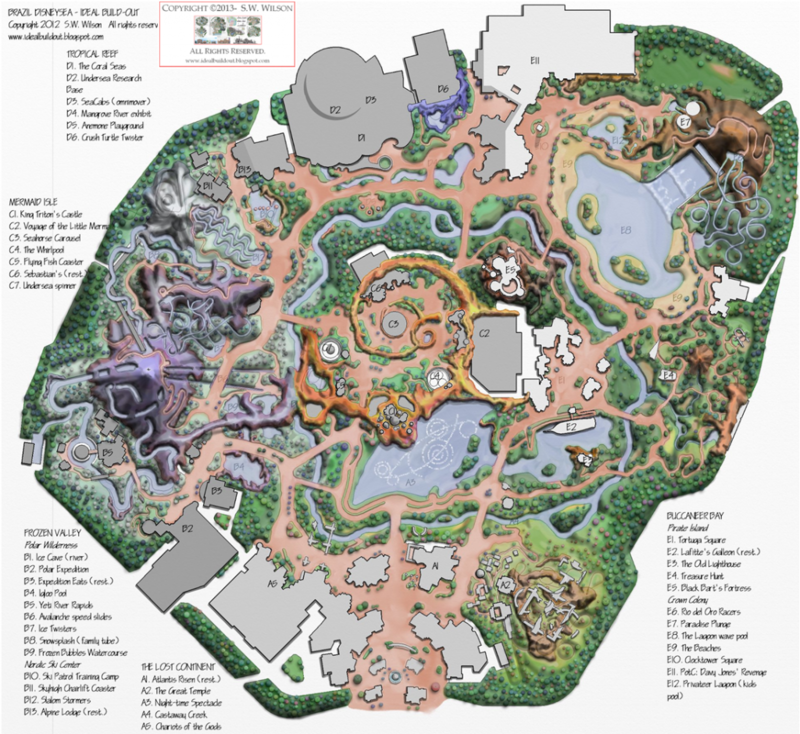 In Brazil there is the idea for a new leisure park with a multitude of themes and attractions for the family. They call it Hybrid Park because it also combines a water park with a “dryland” park. Certainly not what we want to copy, but interesting to see. The Nordic Environmental Social Science Conference 2013 “Welcome to the Anthropocene!” includes a working group on “Adapting to Climate Change in City Areas: Urban Climate Governance in Multi-level Contexts”. Cities and metropolitan areas are both a challenge and an opportunity for climate change adaptation. The concentration of people, the socio-economic activities and the infrastructure in urban areas all translate into spatial challenges implying a particular vulnerability to climate hazards. The cost of not considering, integrating and/or mainstreaming adaptation at an early stage may become substantial in the future as weather events affect many people and crucial economic activities. At the same time as large urban areas harbor resources and capacities with a potential to design and deliver effective adaptation policies, they are often crisscrossed by horizontal and vertical boundaries of authority and competence, from national adaptation strategies to local action plans. This multi-level context thus presents formidable challenges to policy-makers and administrators seeking strategies of climate change adaptation compatible with the scale of climate problems. This workshop will focus on local climate governance in a multi-level context, with country-wise shifting roles and capacities of different levels of government to achieve climate adaptation. It aims at bringing together scholars actively researching urban climate adaptation strategies, to take stock of recent findings and to compare the strategies and actions in order to assess the reasons for common as well as deviant patterns. Canal Park in Washington, D.C., recently opened to the public, is one of the first parks built as part of the District’s Anacostia Waterfront Initiative. Canal Park is a model of sustainable design, serving as a pilot project for the Sustainable Sites Initiative (SITES™). The park has been designed as a social gathering place and an economic catalyst for the surrounding neighbourhood. The park will feature diverse amenities, including a café with outdoor seating, an interactive fountain, an ice skating path, play, performance areas and sculptures. In addition to being a vibrant social destination, Canal Park is a model for green infrastructure strategies. The former brownfield has been transformed into a landscape that restores vital ecosystem services that were lost when the site served as a parking lot. “Build a Better Burb”, a design and planning competition sponsored by the Long Island Index with the Rauch Foundation, has named the team of PARK and NetLab as one of five winners. 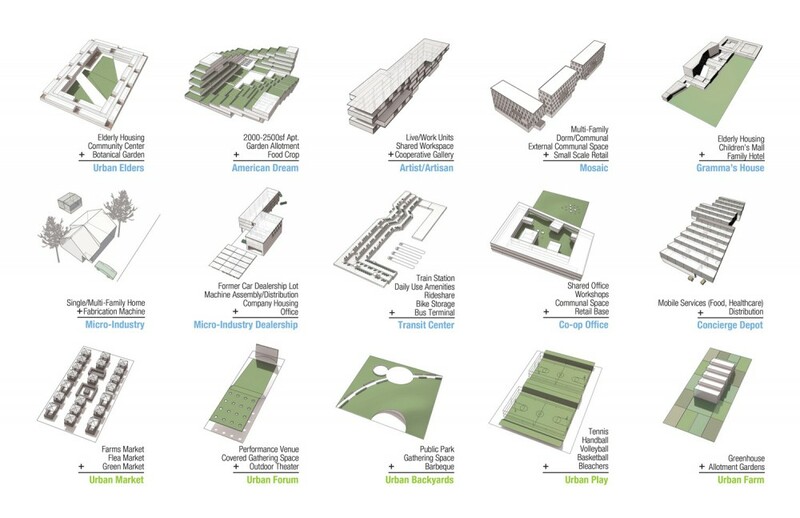 The competition was developed in response to over 8,300 acres of vacant parcels and parking lots in the small downtowns areas of Long Island suburbs. The brief asked respondents for bold design proposals to retrofit underutilized asphalted areas in suburban downtowns, re-purposing them for innovative—maybe even unexpected—new uses.